The organizational structure of the Nordic Centre in India consists of: The General Assembly with representatives from all the Nordic member universities, which handles all matters of principle and of strategic importance for the NCI. The General Assembly meets at least once a year at a location and time decided by the Board. Each NCI member has to nominate a person who represents the university at the General Assembly (GA) of the NCI. 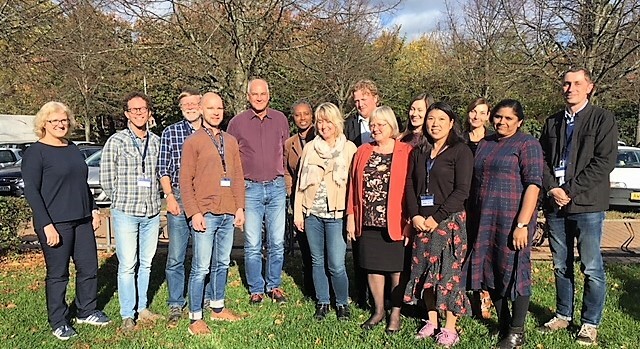 The GA meets annually, with representatives from all the Nordic member universities, which handles all matters of principle and of strategic importance for the NCI. The Director who is appointed for a fixed period of time and is responsible for the daily activities of the NCI. The Director reports directly to the Board. NCI is functioning in accordance with the established bye-laws. The NCI has a board with one elected Chairperson and five members and their deputies from each Nordic country. The Board ensures that the NCI is operated in accordance with its aims and regulation. The board is elected every two years and each member can nominate a candidate. The board meets regularly during the year and oversees and directs the activities and strategies of the NCI. School of Culture and Society – India and South Asia Studies , Jens Chr. Skous Vej 7, Building 1465, 322, 8000 Aarhus C, Denmark.